You have a business that’s growing in revenue and are scaling for growth in a specific market, but you start to plateau. How do you get past this slow period? Do you want to hit a point of critical mass to make more sales and grow your customer base? Will determine if you are able to try the following strategies. See our advice on how to boost international sales below. There are many things that companies are not thinking of in terms of online sales that they could implement into their strategies. I’ve noticed in the space of finance, fintech, and payments there is a lack of good content too. Even in the space of digital marketing, there are really only a few that truly have their content strategy maximized. For example, Neil Patel is getting hundreds of thousands of website visitors monthly. Surprisingly, just under half of his traffic comes from the United States. Businesses tend to focus on the US market, but there is plenty of uncapitalized opportunities awaiting in countries most marketers do not make an effort to optimize for. But how important can this really be for your business? How many Google searches come from the US every year? Take that in addition with what Google told Search Engine Land, that roughly 2 trillion searches were performed globally in a year, we can do some simple math to get an idea of how much Google Traffic comes from the United States in particular. Just under a quarter of internet searches come from the States, what’s your opportunity cost for only optimizing traffic for the United States? It’s findings like these that remind me why international SEO is fundamental to a growing business’s strategy. Think about the possible sales, email list, and website visitor growth you could have by unleashing the floodgates of different countries introduced to your product. You could potentially be missing out on 76% of the market! Assuming you have Google Analytics installed on your site (and if not see how to here), on your sidebar go to Audience > Geo > Location. What will be returned to your dashboard will be a list from Greatest to Least Amount of Visitors segmented by the country. Be sure to adjust the timeline of the data tracked on the top right of your dashboard. Two weeks of data isn’t going to be strong enough to make a decision. As a rule of thumb check the visitor count per country for the last 3 months. The first step in an online customer journey is visiting your website. First impressions are so important to digital marketers, and conversion rate optimization specialists urge marketers to captivate the audience with your message in the first 3 seconds of landing on your website. In fact, a study from Visma.com showed that from their data (from a site getting over 2mm monthly visitors) that the average user time spent on the page was on average 1:16 coming from organic traffic. Which is why it’s important to engage a customer as soon as they land on your page. Additionally, how fast your website loads is key to having visitors actually engage with your page. Experts like Brian Dean also understand the importance of this tactic. Take the hint from SEO experts on the importance of page load speed. The bounce rate (or the rate of people leaving your site after the first page) is highly determinant on the page load speed of your website. For many suppliers and other businesses alike, their websites are hosted on Shopify’s Server or any other generic web hosting service like Bluehost, Dreamhost, GoDaddy, etc. Meaning that your server’s location is in the western hemisphere. If a user in North America goes to your website in this example the location of the server is going to be a lot closer to them and will have quick page load speed time. For someone trying to pull up your website in places like China, India and many countries in Europe, their browsers are trying to pull data from the other side of the world. A Content Delivery Network (CDN) is going to take your website and host it on a couple different global servers, meaning that your website data is going to be pulled from the server closest to the user performing the query. Mobile-first content has been making a splash in conversation among marketers because it’s very clear that majority of internet searches start from a mobile browser. So important that Google made a new framework that will play into SEO! “The AMP Project is an open-source initiative aiming to make the web better for all. Many SEO and Marketing professionals have been talking about how being AMP compliant is an amazing SEO hack, but I like only taking advice from the best. Digital marketing leader Neil Patel says that AMP compliance doesn’t necessarily affect your search rankings except for in countries where internet signals might not be as strong. From Neil’s experience, he said that his traffic from Brazil increased significantly with the implementation of AMP compliance to his pages and blogs. Neil’s significant increase in traffic from Brazil is likely due to the fact that accelerated mobile pages were made to boost page load speed of visitors. So lesson learned is to not discount your international customer’s experience by making sure you deliver the same experience of your website across all countries in the world at the same speed! 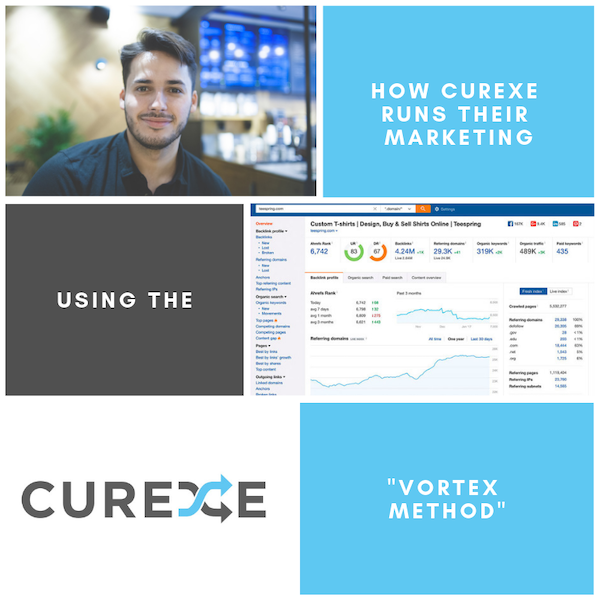 Since the Curexe team is well versed in content strategy I could dedicate an entire post to this, but to keep it simple I’ll only cover driving traffic from different countries. Think about the keywords and phrases your audience is going to use in search queries to find your product in an ideal scenario. For example, if you were selling snowboards in Canada and wanted to boost your traffic in Europe think about useful content for your audience and gear it towards regions in Europe. Of course, with any blog post, make it in depth (2k-3k words), use LSI keywords, find topics by using a successful blog or simply start typing into Google and find common phrases that pop up as suggestions, and model your content after the top ranking posts. It’s important to make your content compelling and well structured so readers will consume all of it and use custom infographics. The suggestions above gives you a significantly higher chance of ranking on the top results fast for Google because the algorithm believes what you have written is valuable, based on the amount of time your traffic spends on the page. Backlinko’s comprehensive studies prove that longer more detailed content ranks higher. A longer post will take more time to read, and if you can captivate the reader with a post from start to finish the visitor will spend an increased time on the page. Clicking on a result in a search engine and a user spending a long time on the page sends a message to Google; it positive signals to increase your page position. Whereas a quick click and 3-second bounce signals negatively to Google that your post may not be relevant to that keyword or phrase you wish to rank for. To follow the guidelines of creating a high ranking blog post, tailored specifically to a region is going to give you a considerable increase in traffic in the geographic regions you post about. Learn more about best practices on blogging by visiting Neil Patel or Backlinko’s Youtube Channel. 5. Translate Your Web Pages and embed Href-Lang into your website’s source code. After you have posted more than a few blog posts you’ll notice that your website is going to have quite a bit of extra pages. Please do keep in mind however that a ton of pages indexed on Google’s Search engine is not a good thing. In fact, many marketers experience an increase in traffic with no indexing all of your irrelevant pages. Sometimes less is more when providing users value. However, for the pages that make the cut, it’s in your best interest to translate the pages and posts on your site to the countries you want to have a bigger presence in. With this in mind, it makes sense that Google will prioritize pages written in the language of the users are searching in. Keep in mind hiring a translator will ensure your wording will be synonymous with what your audience is typing into search. It’s not always best to go with the less expensive route of inputting your content into a translator if the translation is not something your audience would ever type in a search. You could also use a service like Lingo24 if you want an expert to translate your pages. After you have translated your pages and posts you need to go into the source code of your website and write HREF-Lang code to tell Google to prioritize the language translated pages for users searching from specific countries. Of course, also it’s very important to make sure that if a visitor accesses a page in their home language, that Google knows to keep serving the right pages in their preferred language as the visitor clicks on different pages and browses your site. This is a little difficult to do on your own so I suggest handing off this task to a freelancer. If you do this you are going to experience a spike in traffic from different countries. On any of these platforms, you’ll be able to create campaigns with them targeting specific regions. After identifying where your traffic is coming from you will have your insights on where to first start your campaigns based on the Google Analytics. By segmenting your campaigns by country, you will have the data on which regions perform better and you can serve them ads specific to their area. Making ads tailored to a specific place increases relevancy score of your ads which brings down your cost per click and signals Google to prioritize your ad over those of competitors. And as for Baidu, hear me out on this one. There is no doubt that the market for any product in China is promising, the market is huge, as the country accounts for 5% of all search queries. In addition, 99% of the population uses Baidu for their preferred search engine. If you are not using Baidu ads and you have data showing that China is a promising market for you to enter, you should really consider using their platform to run ads to drive international traffic to your page. We’ve gone over a couple ways to reach an international audience. For page speed and AMP Compliance, it increased user experience of your international users. For content strategy, you tailored content around search queries your potential user might type in and included your target region in the title of the post. For paid traffic, it was to make specific campaigns and relevant ads to the respective regions. These are all ways where you set something up and the users come to you. But what else can you do to boost international sales? I discovered this through my own experiments on writing blog posts for Curexe and Medium, and there are some channels that people don’t think of that turn out to be very effective. Quora is basically the evolved version of what Yahoo Answers was supposed to be. Users simply ask questions and other Quora users can answer. In my industry, which is pretty niche compared to what else is out there; I can answer a question that a typical customer would ask, then I could then provide value and recommend my service. That answer alone will easily get 1000 views from other people. Assuming a viewer of the question typed in a query that makes sense for this result to pop up, a majority of the views are coming from people who had a question similar to this one! After being on the lookout for questions my customers would ask, trying to always be on top of it being the first to answer, the results paid off tremendously. We’ve stopped actively answering Quora questions for a month but are still getting tons of traffic from it! In fact, according to our Google Analytics, it is our #4 largest referral source of traffic. That’s amazing for a little bit of effort up front. This one is pretty straightforward, go through subreddits to find ones related to your industry. All you need to do is make a text post with a good introduction, ask some questions to start up a good conversation in the comments and go ahead and post! This is sometimes going to be a hit or miss, but the key is to keep being active and create engaging posts. Posts can lose momentum pretty quick and the whole entire world isn’t going to see your one post in one subreddit, so feel free to post a couple times every few weeks. Reddit is known for being the front page of the internet so you are putting your content in front of a global audience. A simple search in Facebook Groups in your niche will show you how many people have an affinity for a lifestyle around your products with people talking about it every day. In a single Facebook Group search, I found 18,900 possible customers interested in Snowboards and Snowboard Gear. The key is to get into these groups, start posting frequently engaging in the community. Maybe take it up with one of the admins about running an ad, look at the group rules, some groups don’t even mind advertisers giving the group access to special promotions. By offering a competitive compensation structure for referrals, you are unleashing the floodgates of influencer marketing! Pitching this program to the right influencers in your targeted countries will bring brand awareness and sales from people all over the world. My recommendation would be to compile a list of influencers across platforms and identify their audience sizes, average engagement on each post and of course their handles & contact addresses before pitching potential affiliates. After you have done everything you can Sales and SEO wise to boost international traffic to your website in-house, then it’s time to assess who else can sell your product. In addition to selling your product on your website, you can create an authorized dealer program. You can do this by adding a MAP (Minimum Advertised Price) policies to your products, thus creating special bulk & dropshipping pricing for other companies to sell. Selling on e-Bay and Amazon is troublesome in terms of the fee percentages they take off the top, but also the mentality of the people shopping on this platform is always looking for the best deal. This could hurt the brand equity and image. Though if you wish, you can still sell on these channels, just try to come up with consisting pricing and sell them for a Minimum Advertised Price. How Else Can a Supplier Double Down on International Distribution? Following up on the scenario where the business isn’t drop shipping, but have created their own product, there are still other ways to boost international sales. Once you have made a program where other vendors can sell your product upon approval, it’s time to go hunting for bigger brands to seek out and land a distribution deal. Another route you could go with is partnering with other brands who sell similar products to that of your own. These partners typically would stock and sell your product in addition to their own product lines, which is really great for you the supplier because these kinds of partners with big market shares buy your product in bulk which will boost your volumes of purchases. Depending on the situation you could give rights to sell your product in certain countries to these partners or full exclusivity to sell outside of yourself. They might even outright offer to acquire your company eventually. An example of this is Teavanna, where they were selling tea to customers all over the world. Starbucks notices how well they are doing and acquire them for 620 million dollars and starts to stock their teas and use their products to make a line of beverages and roll them out across stores worldwide. Again, you don’t necessarily need a Starbucks. You could find smaller companies who customers in other countries have a strong affiliation with and partner up with them and give those partners in specific regions rights to selling your product. From there all you do is invoice them and let them handle the marketing and selling of your products in their territories. There is a lot you can do to boost your sales from different countries to enter foreign markets. For tactics that are in-house, do your homework or get an SEO specialist to complete the tasks mentioned above. If your lead capturing is strong enough, the efforts from the SEO specialists will help drive traffic to your page from other countries which upon having them enter your funnel, you will have more opportunities to sell products in different countries. 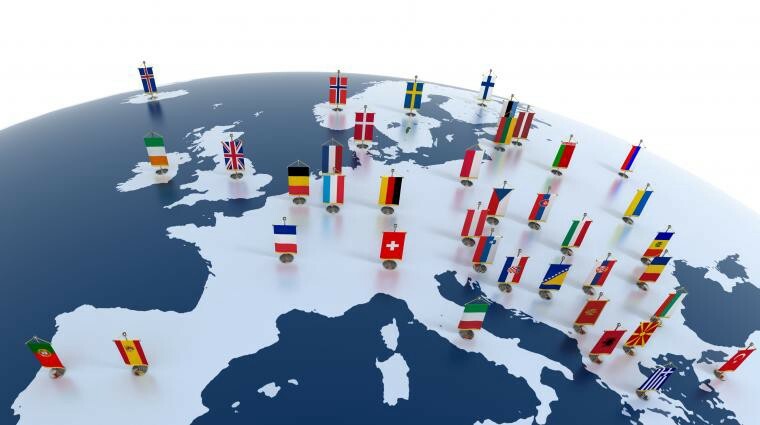 Leverage influencers from different countries with an incentivized affiliate program. Use unorthodox mediums to drive traffic to your pages like Quora, Reddit, and Facebook Groups. Create an Authorized Dealer Program for Vendors across the world to sell your product. Consider Partnering with brands who sell related products in different countries with a large market share. For further readings on entering the Canadian Market, check out this article by Business Development Canada. After executing on these tasks, you should see a substantial increase in your brand’s presence in different countries!